AVI Securities’ Matt Thornton wrote in a research note that Apple tablet is “in full production” and Apple’s NAND flash chip requirements may be increasing because of the tablet. 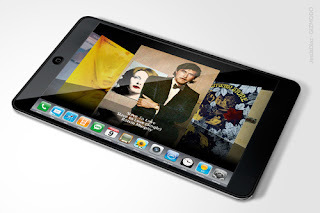 Matt believes that Apple tablet will aim for E-books, e-magazines, e-readers and will be much more multimedia centric, as opposed to mobile-communications centric or mobile-productivity centric. 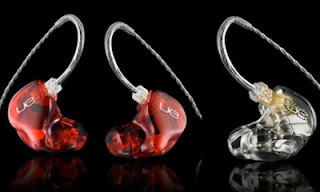 Ultimate Ears has launched two new in-ear headphones for professionals. The Ultimate Ears 18 Pro and Ultimate Ears 1 Pro Custom Monitors are specifically developed for the most discerning performers and music listeners. The Ultimate Ears 18 Pro uses proprietary six-speaker system, which delivers the headroom needed for stage use while optimally reproducing the total pro audio frequency range. In an interview with Bloomberg, Robert Chen, analyst with Goldman Sachs Group said “Apple’s going to put a lot of innovation, not just on the hardware, but also on the software of the new iPhone.” The next generation iPhone will have a Magic Mouse like touch sensitive plastic casing and 5-megapixel camera. 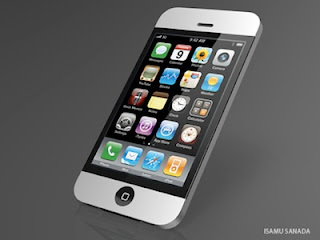 The handset will include updated version of iPhone OS that will bring many new software innovations. Chen believes that next iPhone will go into production as early as April and ship in June or July. With all the positive buzz and good reviews we were expecting that Google would at least sell few hundred thousand Nexus One handsets in first seven days. However, mobile analytics company Flurry estimates that Google only sold 20,000 handsets in first seven days. Flurry’s data was complied using information from more than 10,000 Android and iPhone developers and the penetration of their software. January Prize Draw: Win a MacBook Pro. Pass this month’s trainings for 2 chances to win one of 2 MacBook Pro laptops with the accelerated response of an Intel Core i5 processor. According to The Korea Times, KT – the exclusive iPhone provider in Korea, plans to introduce upgraded version of the device in April at the earliest. KT will initially sell the fourth gen iPhone to its bigger local corporate clients as a “litmus test” and will start selling via local distributors in June. TG Daily is reporting that Apple has snapped up all available supply of 10.1-inch multitouch display LCD and OLED screens for its upcoming tablet. An anonymous designer at CES gave this information to TG Daily. “We were designing a product for a customer and we needed 10-inch screens, but we’ve been trying for months and can’t get one from any of the Asian suppliers,” the designer told TG Daily. 3D HDTV: 3D TVs have been a novelty item at CES for past few years. However, this year almost every TV manufacturer showcased HDTVs with 3D capability. LG, Samsung, Sony and Panasonic all had more than a few 3D HDTV models on display and they plan to ship 3D HDTVs by mid of 2010. But, as it was evident at CES, 3D is just a buzzword. It’s impossible to get good 3D experience without wearing glasses, and after wearing glasses also you have to sit exactly in front of the 3D HDTV to get a good viewing angle. 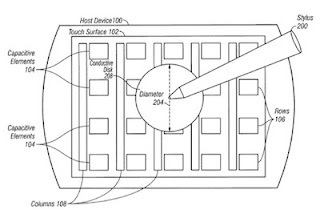 Tablet Computing: Microsoft showed their tablet concept almost 10 years back, which was basically a laptop supporting stylus input. Till now tablets have been a big flop because of limitations like weight, input technology and operating system. 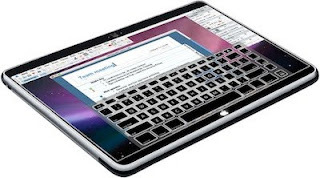 It is rumored that Apple will introduce new tablet later this month and in an effort to one-up Apple every computer maker had at least one tablet prototype on display at CES. Microsoft’s CEO Steve Ballmer showcased tablets from HP, Dell and Acer in his keynote. However, most of the tablet shown at CES won’t ship until second half of 2010. And also most of the tablets shown were based on OSes designed for either computers or smartphones. One of the most interesting tablets shown at CES was from Lenovo, as it was a laptop-tablet hybrid and when it was in tablet form it used Linux based OS specifically designed for tablet. EBook Readers: E Ink display technology based EBook readers have been on the market for quite sometime and even though, they haven’t created a big market the number of EBook readers showcased at CES was unimaginable. There were some interesting concepts and the one that stood out most was Plastic Logic’s Que. The Que offers a big 8-1/2” x 11” touchscreen with the best newspaper and magazine reading experience ever seen on an E-reader. However, its price at more than $600 would be a big hurdle in Que’s adoption. Wireless HD Display Technology: We all want to watch the video content stored on our computers, on the big screen HDTV wirelessly. There have been some solutions available in the market, but it is the first time that a company like Intel has offered an easy to integrate wireless solution. Intel announced WiDi HD wireless display technology at CES. WiDi will allow Intel Core i3, i5 and i7 based computers to wirelessly stream HD video via a TV adapter to your HDTV. Though the technology is slightly limited at present, but it’s a step in right direction. 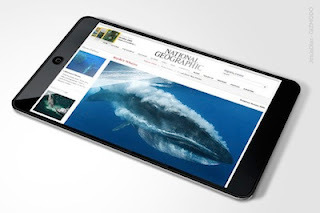 Multitouch Everywhere: Apple brought multitouch screen technology to prominence with iPhone launch in 2007. Now every cellphone and computer maker is trying to integrate multitouch technology in their products. Devices ranging from small MP3 players to large LCD displays with multitouch support were shown at CES 2010. However, the best use of multitouch technology was again showcased in portable devices like tablets rather than on desktop LCD displays. We think multitouch input will be very important factor in making next generation tablets successful after being on the market for almost 10 years.